Looking back it all makes sense. Because I wanted to solely breastfeed babygirl stayed with me in my hospital room from night 1 only leaving me to go to the nursery to get bathed. And from night 1 when she was hungry she was HUNGRY. If I could translate her unusually loud scream into words it would go a little something like this “mom I’m hungry and I want my food not now but RIGHT NOW!” or “Feed me Seymour!”. It was so bad that we reached a point where everything was premade just to eliminate the time preparation took. Babygirl was serious about her food…and still is. I’ve listened to numerous moms complain about their children’s eating habits and appetites, I’ve heard everything from their kids only wanting to eat one food continuously to them not wanting to eat anything at all. I can honestly say that we are truly blessed when it comes to this because babygirl loves food, I’ve never seen a baby with such an appreciation of the yummy things. She’s eaten and loved foods that even adults find to be an acquired taste. Although it’s sometimes difficult we try our best to introduce her to as many different fruits and veggies as we can find and thank the Lord Almighty she doesn’t seem to have an aversion to any of them so far (knocks on wood). As I mentioned before sometimes it’s kind of difficult to keep her meals fun and exciting so we’ve started experimenting mixing different kinds of foods to avoid mundane meals. Like writing sometimes I get into food ruts and sometimes the creative juices don’t stop flowing. The past 2 weeks have been pretty creative and I know babygirl is thankful. How do I know? Funny you should ask! The first time it happened I just thought that she was in a super sweet mood. In between each fork full she would give the biggest bestest hug. By the time the meal was over I received at least 20 hugs. 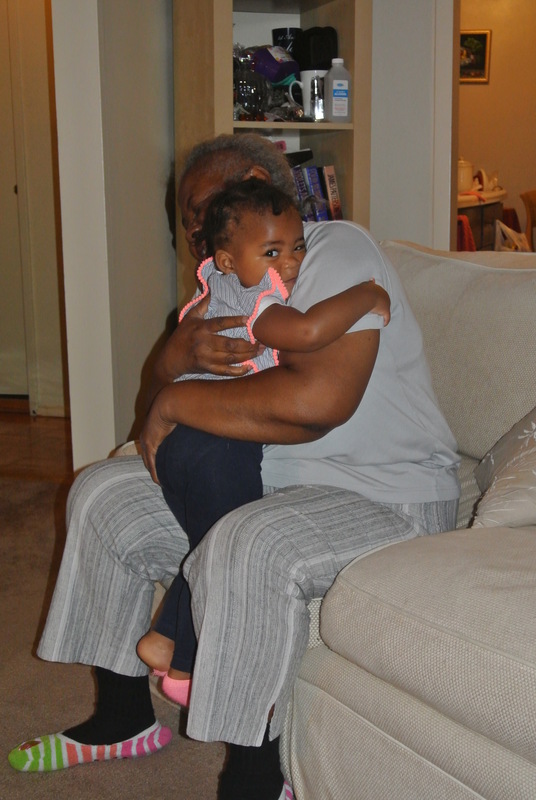 Later on that week I witnessed the same hugging pattern but this time her gram gram was the recipient. 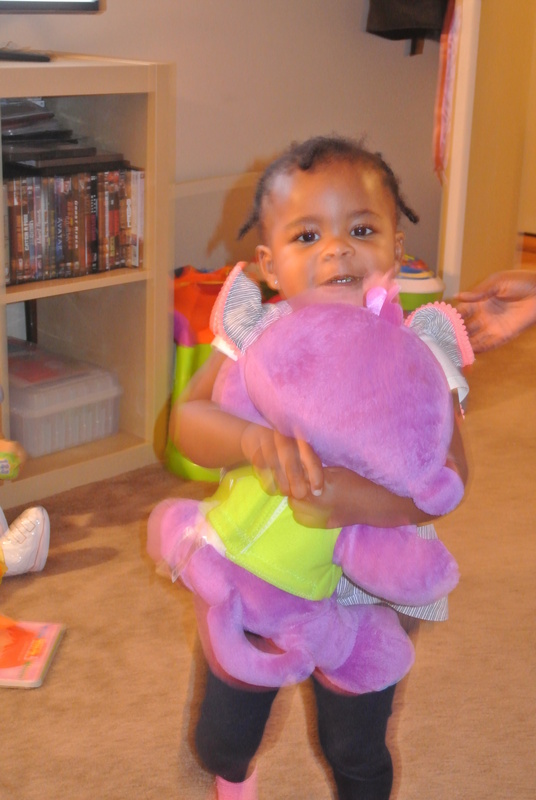 Tonight as I fed her fish with a medley of vegetables there were free hugs for everyone, even her toys! I think it’s safe to say I have a baby foodie on my hands! I’m currently obsessed with this song. I love the “Night and Day” by Al B. Sure sample. I’m looking forward to hearing more from him.